The question is can cats eat potato chips? The short answer would be no. 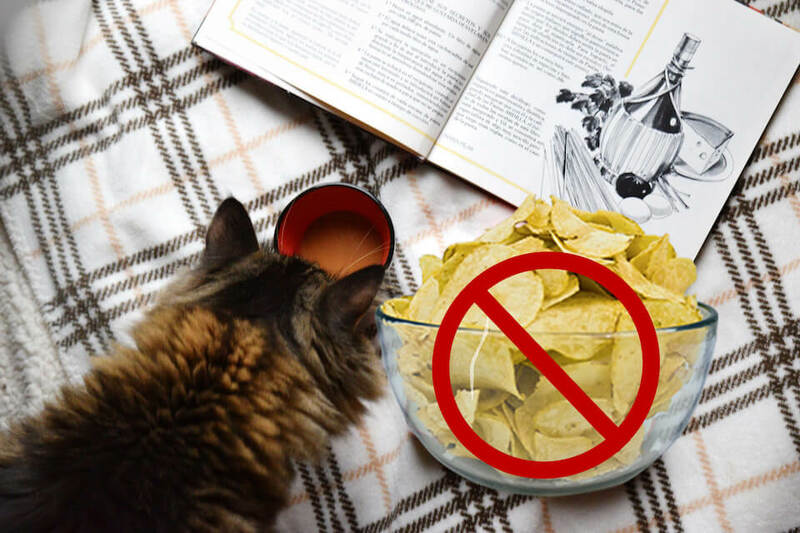 Here is why you shouldn't feed your cat with chips.